But that’s not the whole story. As the Obama administration’s efforts continue to unfold, here are five points worth keeping in mind that explain why the United States is entering arguably its fourth war (Afghanistan, Iraq and Libya) in the Middle East since the September 11, 2001 terrorist attacks, what’s at stake going forward, and what the future might hold for the United States and the region. 1. The enemy of my enemy is still my enemy. Though the Obama administration thinks it can arm ‘moderate’ Syrian rebels, there are no great options in Syria, and that’s more so today than at any time in the past three years. Almost one year after the Obama administration was considering airstrikes against Syrian president Bashar al-Assad for his alleged use of chemical weapons (that have now been securely removed from Syria), it’s now preparing both to arm the Assad regime’s opponents and to attack some of the Assad regime’s fiercest enemies, at a time when Assad seems more secure than ever in his control of much of Syria. Islamic State’s militants came to control so much of eastern Syria because, generally speaking, the radical Sunni rebels ‘won’ the internal fighting among the anti-Assad forces after the Free Syrian Army (الجيش السوري الحر‎) and its general, Salim Idris, withered last year, leaving behind equipment and arms for more conservative Salafist and jihadist groups — like Islamic State. To the extent there are ‘moderate’ Syrian rebels, they include the Jabhat al-Nusra (al-Nusra Front, جبهة النصرة لأهل الشام‎), which used to be considered radical in contrast to the Free Syrian Army. in the middle of a civil war? Essentially, there are no good choices for the Obama administration in Syria, and that’s chief among the reasons that it’s been so hesitant to engage the Syrian battlefield for the past three years. 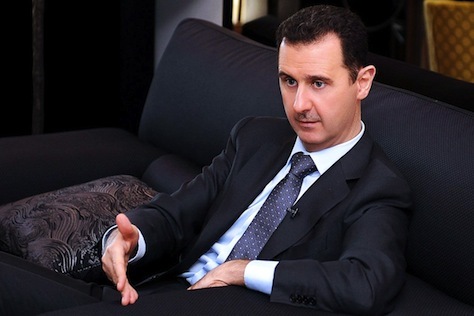 On one side is Assad, whose brutal conduct during the civil war has disqualified him as a leader in the eyes of US officials, and whose chief allies, Russia, the Islamic Republic of Iran and the Lebanon-based Hezbollah (حزب الله‎) are certainly not friends of the United States. On the other side is an increasingly radical alliance of Sunni jihadists, including Islamic State. It’s no wonder that Obama wanted to stay out of Syria for so long. Obama’s bet now is that he can strengthen the middle by empowering a force loyal to neither Sunni radicals nor the Assad regime. It’s a tall order. The greater risk is that by arming a relatively weak element within the anti-Assad coalition, US arms and support might wind up in the hands of either the Assad-led military or radicals sympathetic to Islamic State. It’s happened before — one of the catalysts for Mali’s civil war and the takeover of northern Mali by radical Islamists in 2012-13 was the influx of arms from its northern neighbor Libya in the aftermath of the NATO-backed campaign to support rebels, who ousted longtime leader Muammar Gaddafi in August 2011. 2. The strategic goal is (or should be) protecting Iraqi Kurdistan. Obama’s initial decision to send US airplanes to northern Iraq last month was ostensibly justified in its mission to defend the Yazidi minority, who were trapped on a mountain and under threat from Islamic State militants. 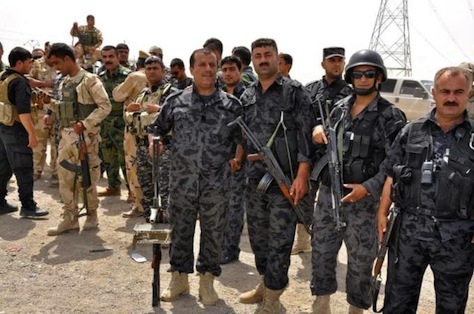 But the decision was also motivated, and continues to be motivated, by the need to bolster the Kurdish peshmerga forces that are now defending both Kirkuk, which Iraqi national forces abandoned earlier this year as Islamic State advanced into the north, and the rest of Iraqi Kurdistan, including territory dangerously close to the Kurdish regional capital, Erbil. It’s no secret that, while it has its problems, Iraqi Kurdistan might be the only success story to emerge of the US invasion of Iraq. Today, the autonomous region has its own government, its own currency and, increasingly, its own foreign relations — and surprisingly strong relations with Turkey. Despite its growing energy exports to Turkey, the region remains dependent upon Baghdad for transfer payments from the central Iraqi budget. But if there’s any strategic interest for the United States to launch a new war in Iraq, it’s to bolster and defend Iraqi Kurdistan, which has supported US initiatives in Iraq stretching back to the first Gulf War, a partnership for which Iraqi Kurds paid dearly in the 1990s at the hands of Saddam Hussein. To the extent that the United States ‘owes’ anything to Iraq, there are far worse causes than the survival of Iraqi Kurdistan. 3. 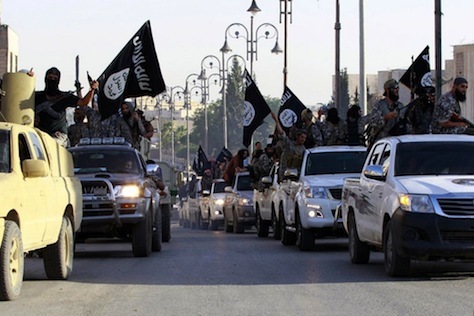 Islamic State doesn’t (yet) constitute a national security threat to the United States. Reasonable people will come to different conclusions on this point. If you think that defeating Islamic State and ending its control over parts of western and northern Iraq is a national interest vital to US security, you’ll believe that Islamic State is a clear threat to the United States. But, unlike al-Qaeda or other radical Islamic groups, no one in Islamic State was targeting US citizens or the United States until Obama announced his initial airstrikes against Islamic State to prevent the extermination of the Yazidi minority in northern Iraq in mid-August. Justified and limited though those humanitarian-based interventions may have been, it may have precipitated the barbaric beheadings of two US journalists, James Foley and Steve Sotloff. Islamic State’s rise in Syria is a result of the three-year civil war with Assad, a member of Syria’s minority Shiite Muslim Alawite population, as well as the rise of more radical Sunni rebels at the expense of moderate and secular rebels. Islamic State’s rise in Iraq is a result of the arrogance, incompetence and sectarianism of former prime minister Nouri al-Maliki, whose alienation of Iraq’s Sunni minority emboldened an alliance between local Sunni leaders and Islamic State earlier this year in the sprawling, western al-Anbar province and the group’s more recent capture of Mosul and other northern Iraqi territory. If left unchecked, these terrorists could pose a growing threat beyond that region, including to the United States. While we have not yet detected specific plotting against our homeland, ISIL leaders have threatened America and our allies. That calculus now changes in a big way. In taking the fight to Islamic State, Obama now makes it more likely that Islamic State will target the United States. Given the overwhelming military force, defense capabilities and, likely, international support that the United States will enjoy in its efforts to eradicate Islamic State (including Saudi Arabia), that may be a risk worth taking. But it’s still a risk, because US military intervention abroad, especially in the Middle East, always carries with it the possibility that the United States will engender a new population with new grievances against US power. 4. There’s no proof that Abadi will be better than Maliki. American power can make a decisive difference, but we cannot do for Iraqis what they must do for themselves, nor can we take the place of Arab partners in securing their region. That’s why I’ve insisted that additional U.S. action depended upon Iraqis forming an inclusive government, which they have now done in recent days. But there’s no real indication that the Iraqi political scene has undergone any true transformation. Sunni and Kurd representatives have still been sidelined in the latest government, and Abadi comes not only from the majoritarian Shiite bloc of legislators, and not only from within the State of Law Coalition (SLC, إئتلاف دولة القانون) that Maliki built and that won Iraq’s April parliamentary elections, but from Maliki’s own party, Islamic Dawa (حزب الدعوة الإسلامية‎), the leading force within the SLC. The switch from Maliki to Abadi, who was initially named a deputy speaker of the Iraqi Council of Representatives (مجلس النواب العراقي‎), marks about the smallest change possible in Iraq’s government. The fact that Sunni Iraqis, Kurdish Iraqis, and both the Iranian and US governments came to support Maliki’s ouster tells you everything you need to know about how unpopular he had become. But though Islamic Dawa controls the State of Law Coalition, which has more power than the other Shiite groups, Abadi became the path of least resistance. Though the name of the prime minister has changed, there’s no indication so far that he’s going to be much more effective than Maliki in uniting the country. Whatever the rationales for enhancing US force against Islamic State, the argument that there’s a ‘new’ government in Iraq is little more than a fig leaf. 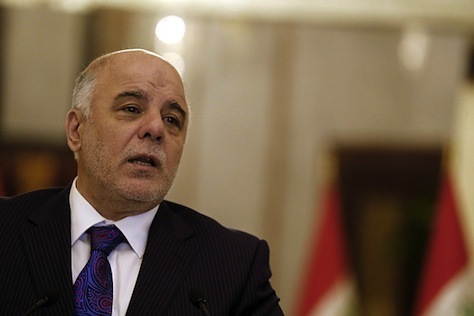 (For more about Abadi, listen to Kirk Sowell’s first take on the new government). Photo credit to Sabah Arar/AFP. 5. Lebanon should be a greater US priority. If there’s anywhere in the Middle East that’s been an afterthought for US foreign policy, it’s Lebanon, which has somehow, rather miraculously, avoided the worst of Syria’s civil war. That Lebanon, which fought a gruesome civil war between 1975 and 1990, has so far resisted descent into further turmoil, speaks incredibly highly of the Lebanese national will, both among its political elite and among everyday Lebanese. But Obama didn’t utter one word about Lebanon in his Wednesday night speech. Of course, Hezbollah has intervened in the Syrian civil war on behalf of the Assad administration, and other Sunni radicals have entered the war in support of anti-Assad rebels. But most Sunni and Shiite Muslim Lebanese, as well as Lebanon’s Maronite, Greek Orthodox and Druze communities, want little to do with the civil war raging next door, a country that until 2005 occupied Lebanon and dictated much of Lebanon’s key political decisions. But Lebanon has done this without much support, militarily or economically, from the United States or even Europe. It has fielded over one million refugees from Syria at this point. Its political system is currently stalled by the Lebanese parliament’s inability to choose a new president, who must come from Lebanon’s Christian Maronite community. Adding to the tensions, periodic violence does erupt from time to time (notably in Beirut and Tripoli) and its public schools and refugees camps have long since become overcrowded. 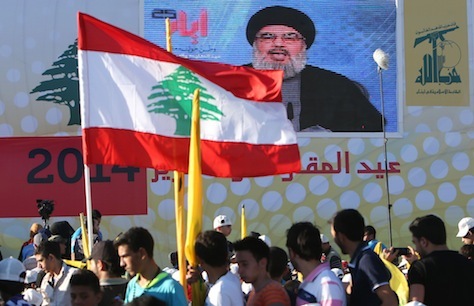 Though the Islamic State isn’t necessarily Lebanon’s top threat these days, and Hezbollah certainly stands ready to repel it, it could quickly emerge as one of many issues adding pressure to Lebanese governance. Syrian militants, including Islamic State members, have already attacked the northeastern village of Arsal on the Syrian border. If there’s anywhere in the Middle East that US and EU support could turn the tide against Islamic State and bolster a small, but significant, democratic state, it’s Lebanon. What’s more, Lebanon’s internal security is good news for Israel, another chief US ally, which just finished fighting a grueling war against Gaza militants and certainly doesn’t want civil war or an Islamic State threat on its own borders. Top photo credit to Sabah Arar/AFP. 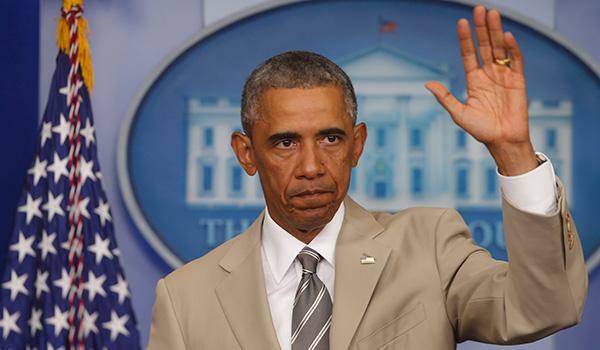 * For the record, while the infamous tan suit could have been tailored a little more closely, and while I’d prefer a more ‘camel’ tone than ‘beige,’ with lighter material in the middle of a DC heat wave, I thought it was a smart fashion choice. Joan Rivers, eat your heart out. Previous PostAs Putin blusters over Kazakhstan, what follows Nazarbayev?Next PostWho is Nicola Sturgeon? Meet the star of the SNP’s rising generation.